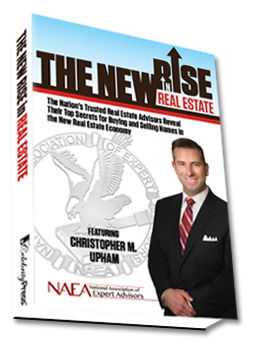 The New Rise in Real Estate - Book Launch Release Buy Now on Amazon.com Today! My theme in the book is, "it's 2012, you should expect more from your real estate agent..." and how I use the philosophy of "anything worth doing is worth overdoing" to help my seller clients get their homes SOLD for top dollar and help my home buyer clients get the absolute BEST DEALS on their perfect home. And you’ll get hundreds of dollars worth of bonuses, just for spending twenty bucks! BUT REMEMBER YOU MUST BUY THE BOOK AT AMAZON.COM TODAY!